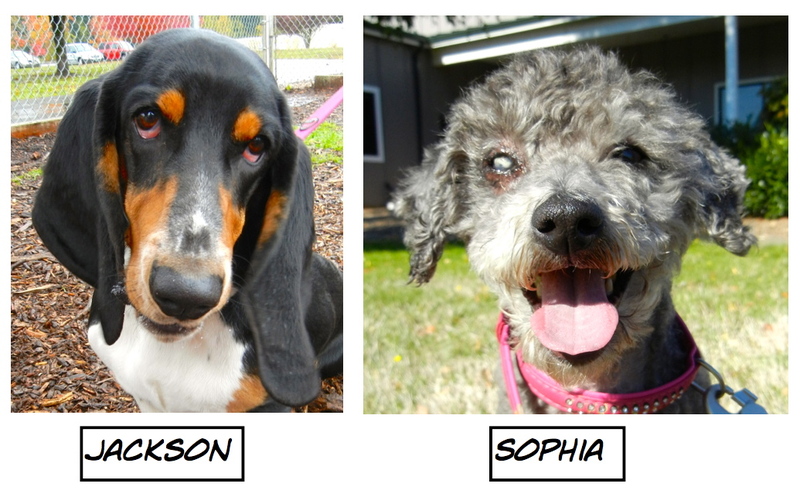 We had some fantastic adoptions in the last week! 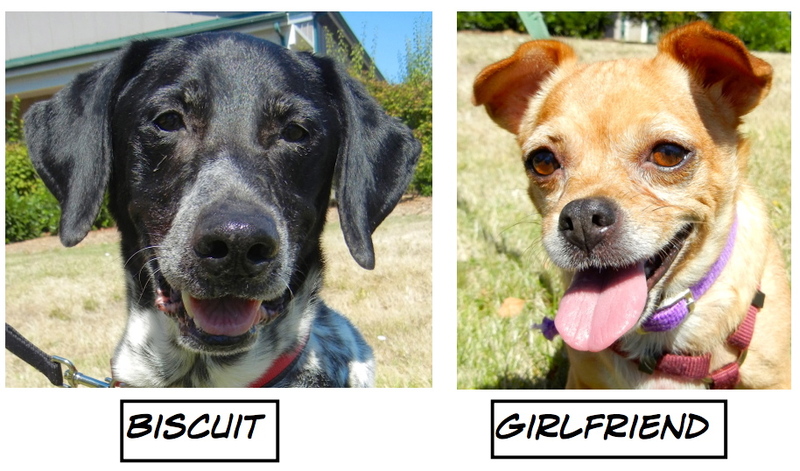 Two favorites, Biscuit and Girlfriend, went home together as we had all hoped. These two are very bonded and it is such a happy feeling to know they are still together! Another thrill is that Brooke, the wonderful girl who had so patiently waited for her forever home also finally has her own family. 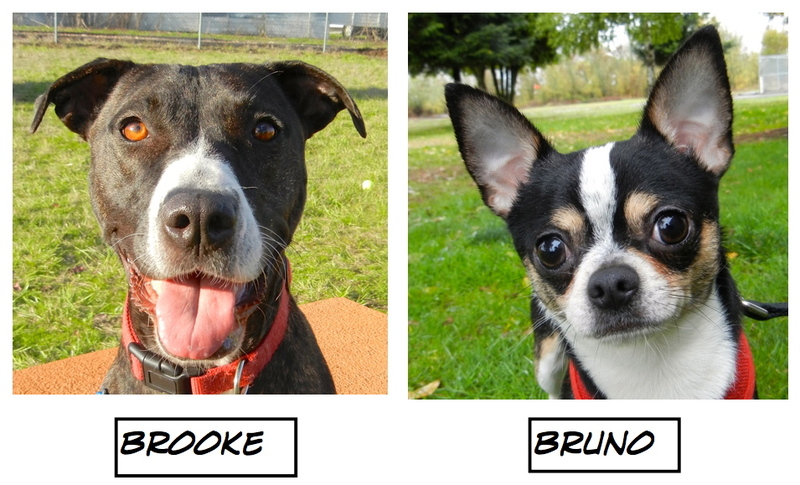 Here are all of the Blog Dog adoptions this week. Sunday’s play group was a fun one. It was a beautiful fall day and the dogs and humans thoroughly enjoyed the morning. Here is what I overheard. 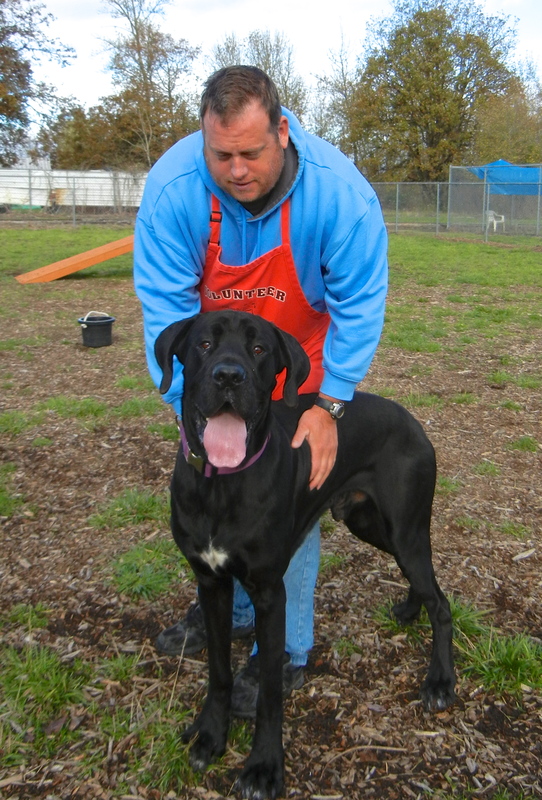 Tucker, a new arrival, is a Great Dane/Mastiff mix, and a gentle giant. 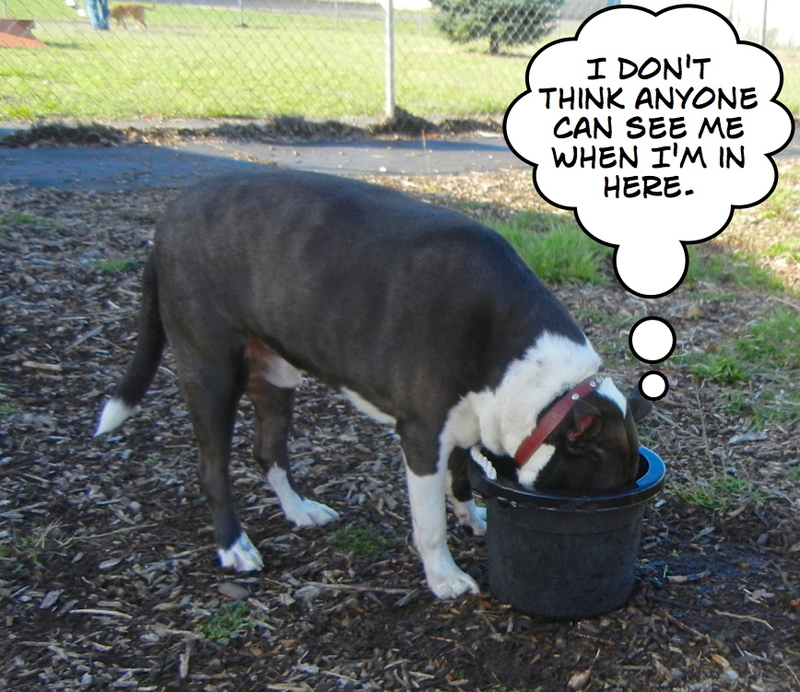 He was, however, quite a sight for the other dogs. Charlie is another new arrival. It was his first play group and he was a little shy at the beginning. 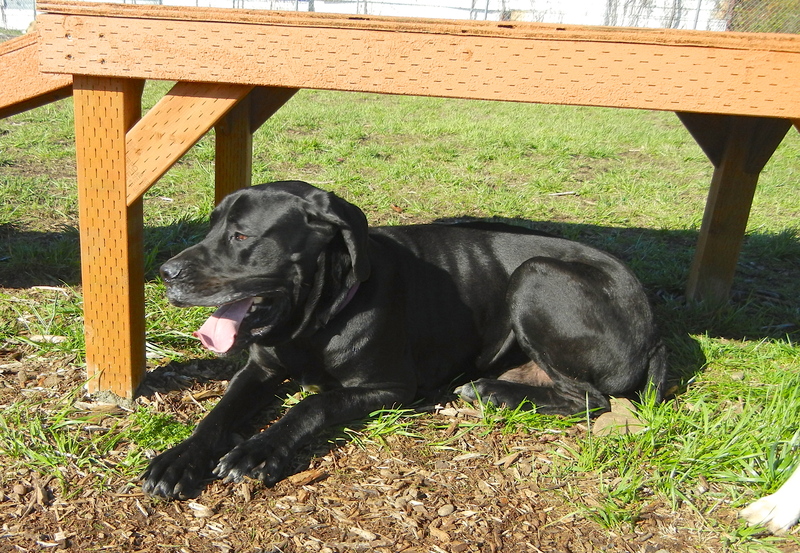 LeeLoo is a young Lab mix who, true to her breed, thinks life is absolutely great! She had a fabulous time romping non-stop with everyone. Need a hiking partner? I climb tall platforms! Joker is still waiting for a home. He is a beautiful boy, a German Shepherd mix who is almost a year old. 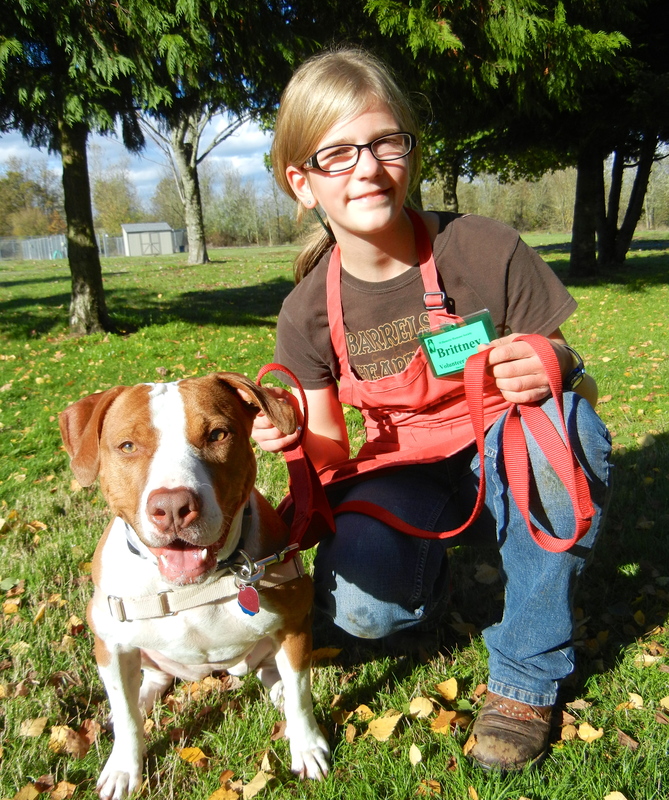 He needs an experienced owner who will be dedicated to working with him. 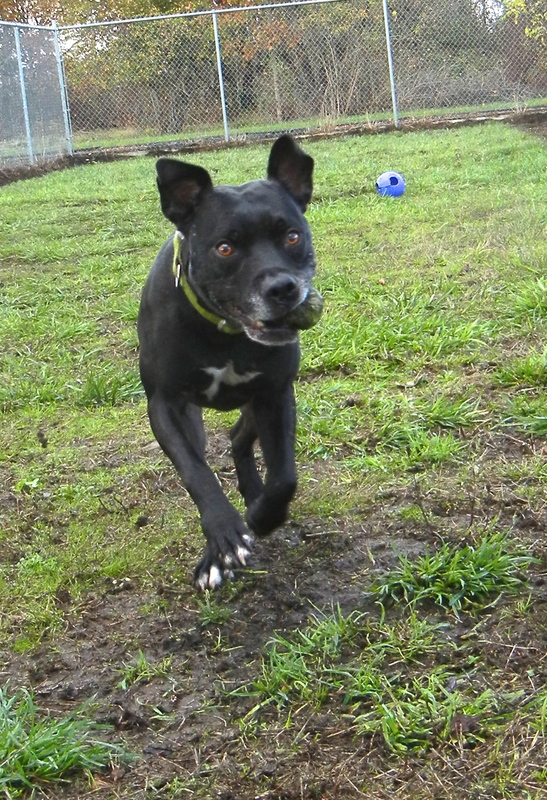 Joker needs a lot of exercise and needs to work on learning to share his food and treats. He needs to be in an adult-only home, because he has not learned to share yet. But Joker is eager to play and learn. He is worth the effort it will take to teach him to be the good boy he wants to be. 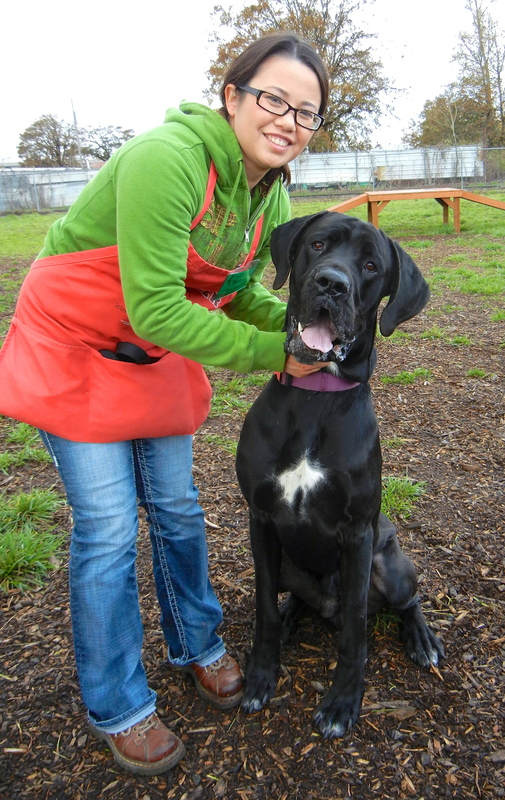 Here he is with his friend, Claire, during Sunday’s play group. Are you a Cocker Spaniel lover? Look at this face! 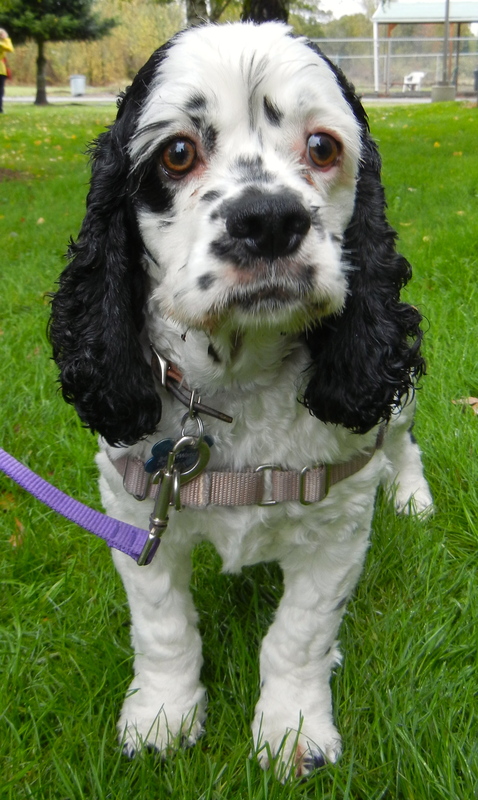 Meet Sammy, an American Cocker Spaniel who is three years old. He is a charmer! 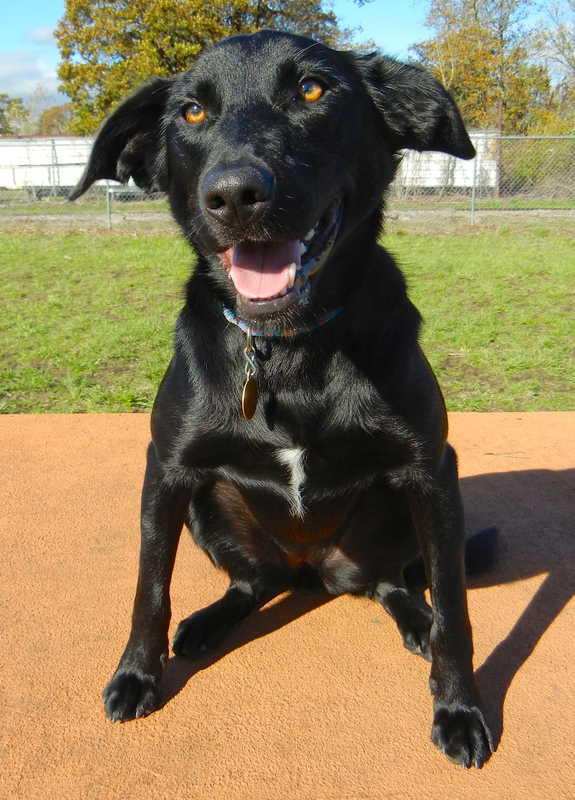 He walks well on leash, enjoys hot dog bits, is affectionate and has incredibly soft fur. He’ll make a great family addition. Here he was on Sunday with Andrew. Here he was in play group. Yep, the platform is very popular! Need a Big Dog? Can we talk? 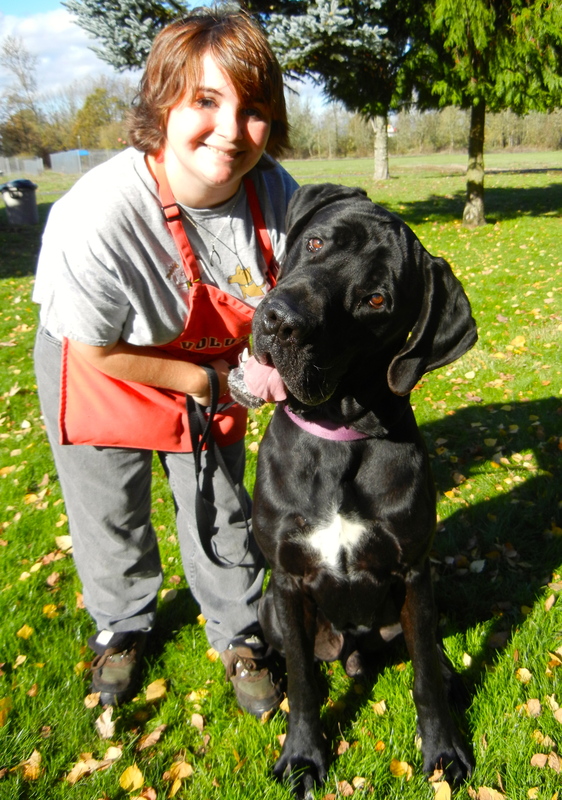 Ever wonder what a Great Dane and a Mastiff cross would look like? Well, look no more. 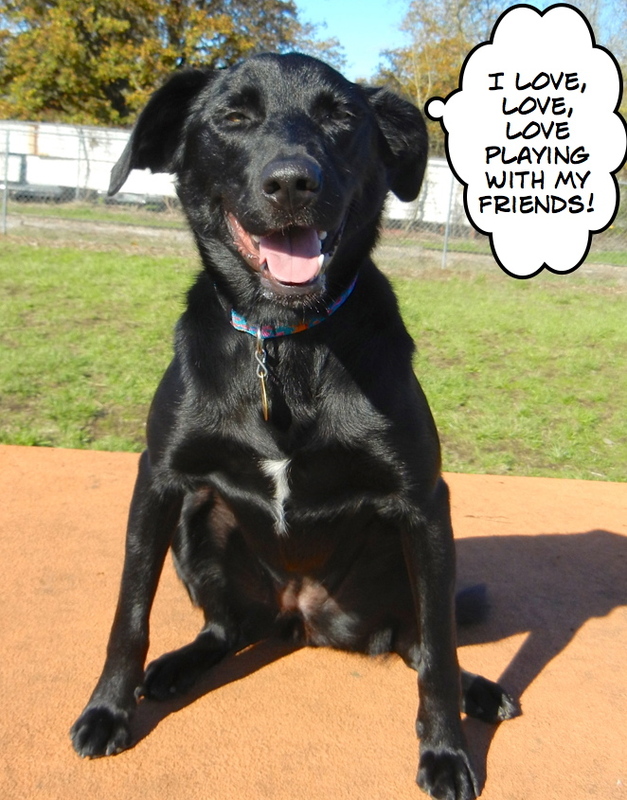 This is Tucker Dude in play group. He is three years old and is a true gentle giant. 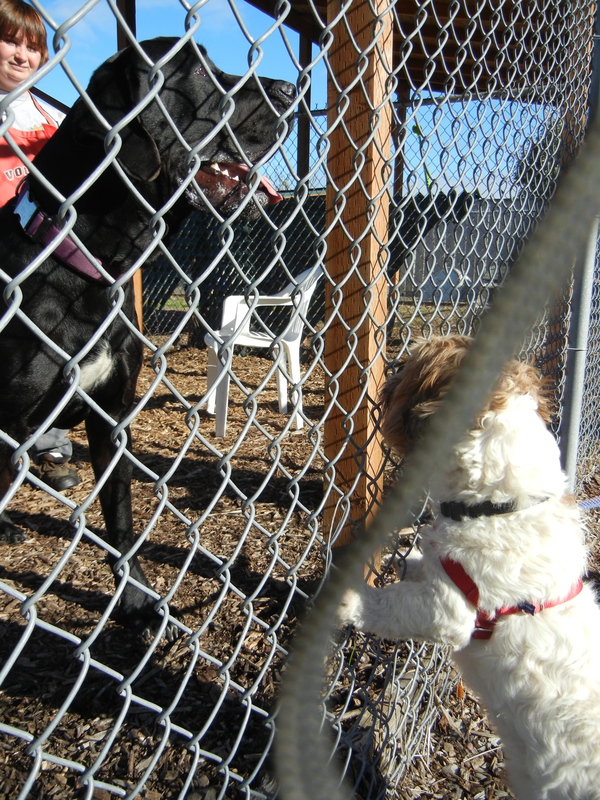 The other dogs weren’t sure what to make of him and he was a little shy with them, but had a good time anyway. Getting ON the platform was a little scary, so Tucker chose to lie down under it instead. Here he is with Sarah. Every time I get my camera out, he gives me this quizzical look. I think he thinks I’m crazy. 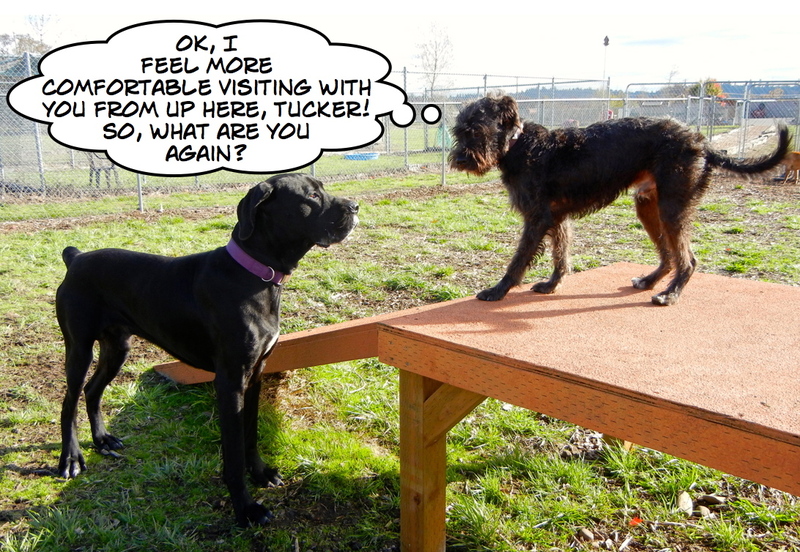 And here Tucker is today with Chelsea. Such a good boy! 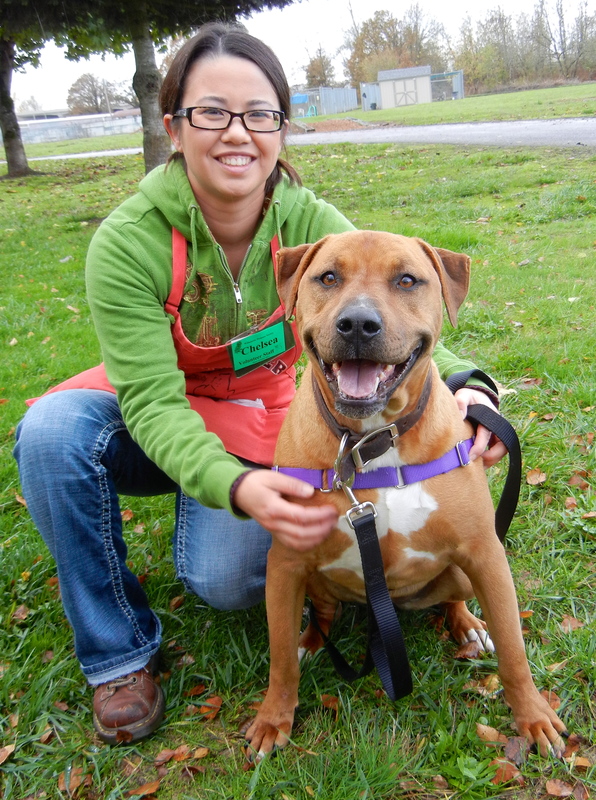 I’m a happy-go-lucky girl, looking for a new family to love! 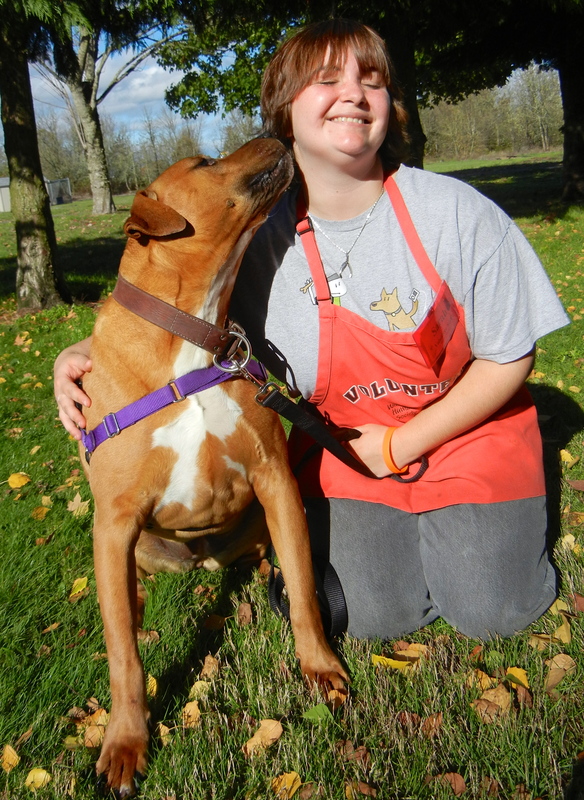 Nevaeh is almost two years old and is a Rhodesian Ridgeback/Pit Bull Terrier mix. She has quickly become one of my favorites due to her sunny personality. As you can see here with Sarah on Sunday, she has an optimistic view of life in general. 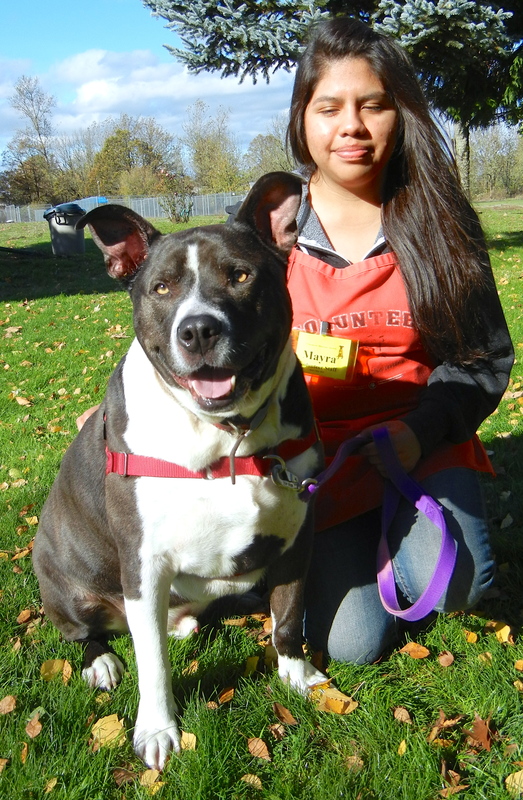 Nevaeh would like to lose a little weight, so if you are looking for someone to exercise with, she’s your girl! She liked Sarah right away! Today Chelsea spent some quality time with her. See what I mean? Nevaeh is always happy! Why am I still here? I’m a GREAT dog! 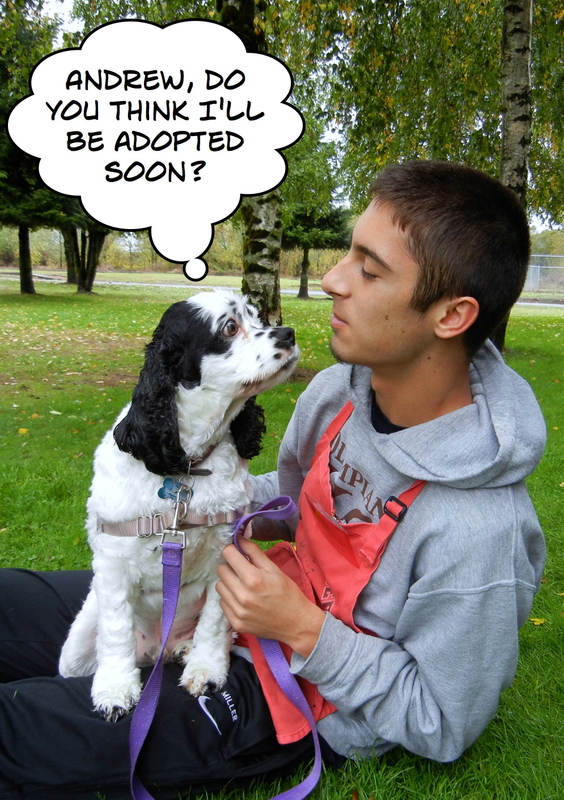 I can’t understand why Gia is still waiting for her new family at the shelter. She is such a good girl and is getting depressed in her kennel. 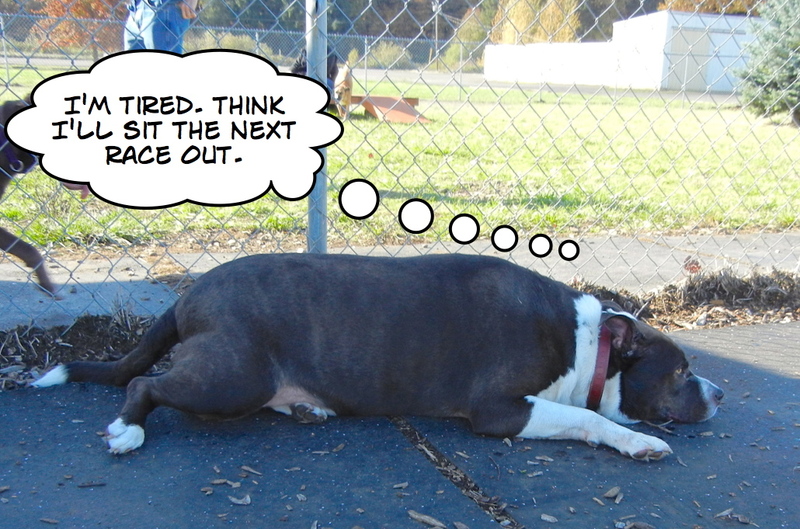 I hope that potential adopters don’t walk by her as she sits quietly and think she has no personality, because she does! Gia is a two-year-old Pit Bull Terrier/Beagle mix who loves to go for walks, takes treats gently, enjoys playing, and comes to life once outside of the shelter door. 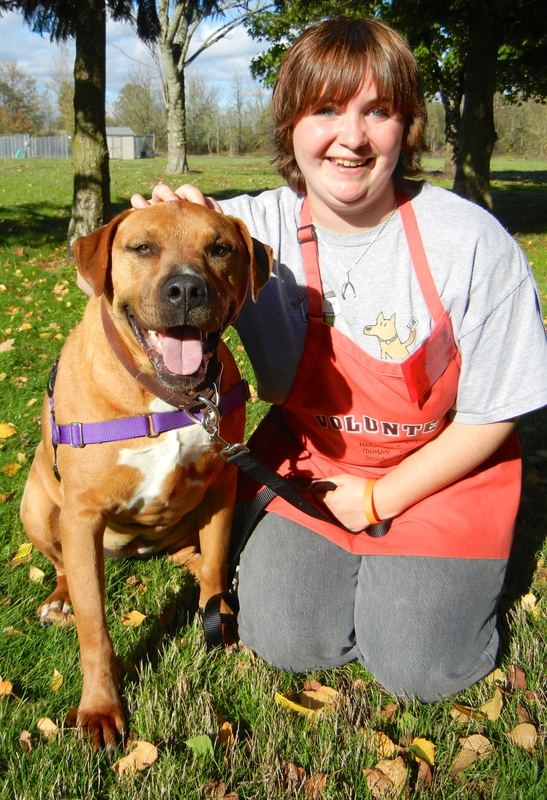 Here she is with volunteer Brittney on Sunday. Brittney stopped me while walking her and asked why she hadn’t been adopted. I didn’t have an answer. I’m hoping so much her second chance will come very soon! Looking for a comedian to brighten your life? I’m it! 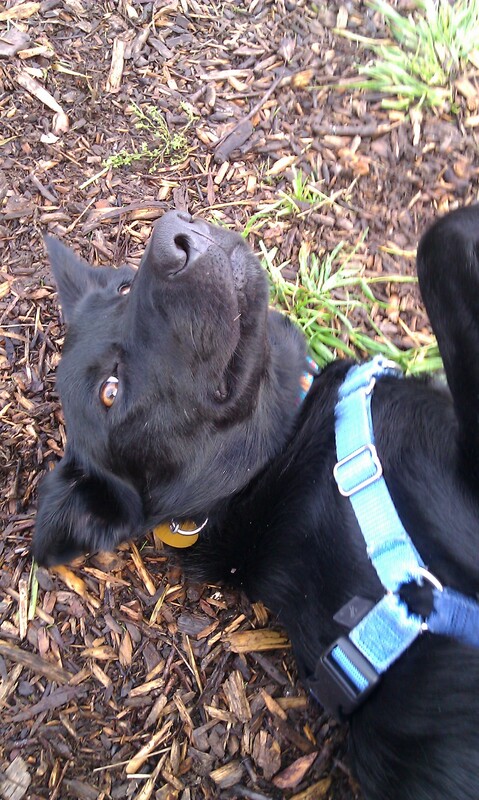 This is LeeLoo, a one-year-old Lab/Collie mix who will brighten your day no matter how rainy. LeeLoo is still a puppy in her actions and is one bundle of exuberance. She had a blast in play group, of course. She’ll love to come to WHS classes with her new people so that she develops into the wonderful adult dog that she promises to become. Chelsea took LeeLoo out to the big yard today for some play time. 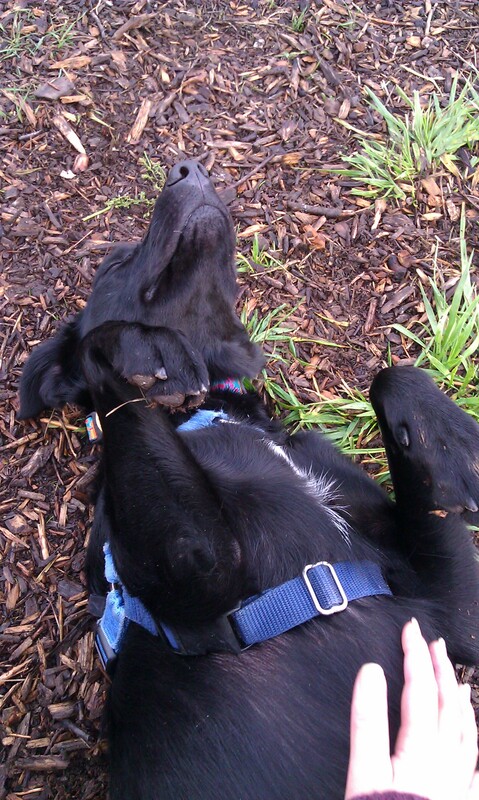 Here are a couple of pictures she snapped of her enjoying a tummy rub. Does she look contented or what?! Here’s what Chelsea wrote to me about her tonight. 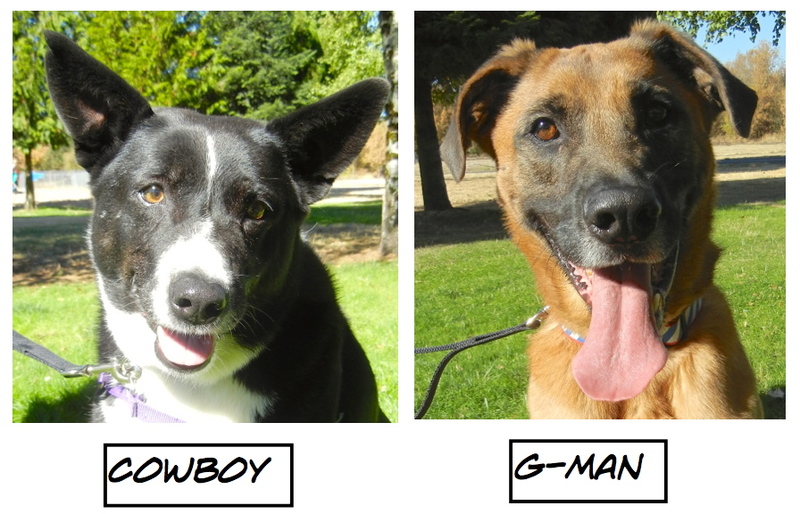 Hey, potential adopters! Need to lose a little weight? So do I! We could do it together! 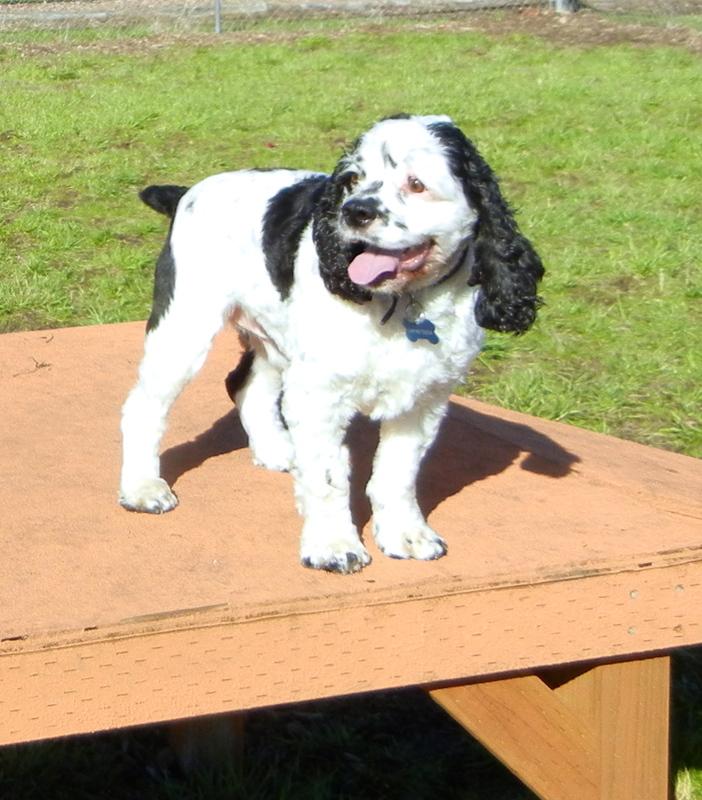 Yep, as you can see by this photo of Charlie, he is a little overweight. Well, maybe more than a little. 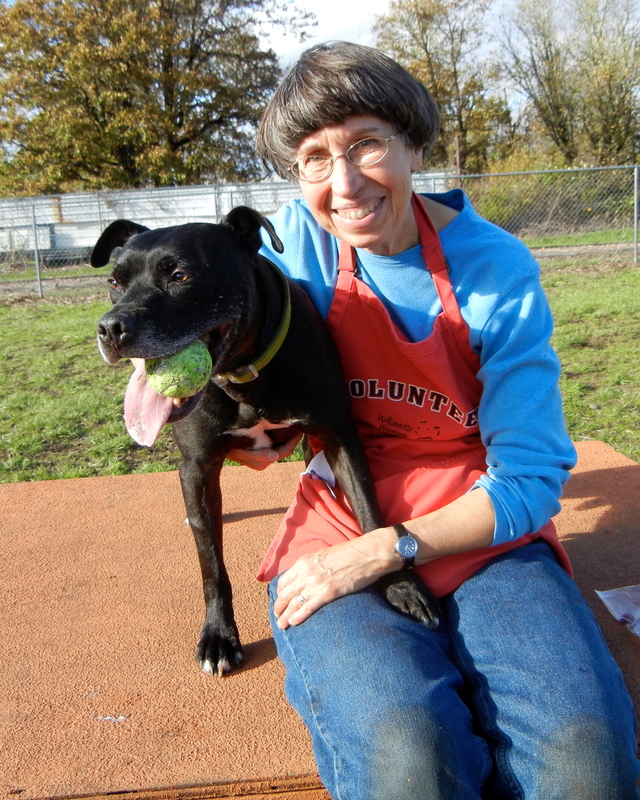 Charlie is a five-year-old Pit Bull Terrier/Lab mix. Here he was on Sunday with Mayra. Charlie was actually one of our shelter dogs a couple of years (and pounds) ago. 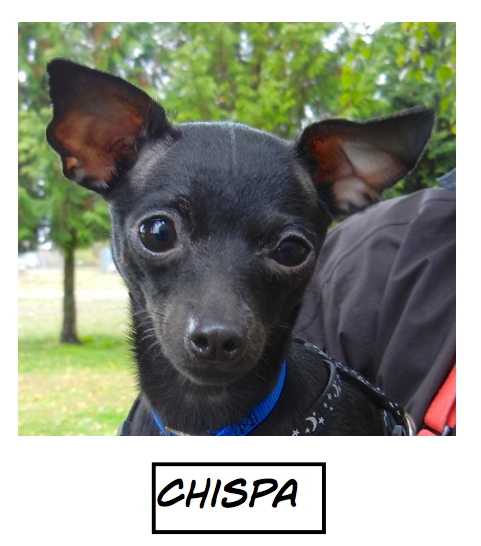 He is hoping for a new family who will guide his eating and exercise so that he will have a long life. Looking for a small package with a big heart? Pick ME! Andrew and Diane spent time with little Jay, a new arrival, on Sunday. 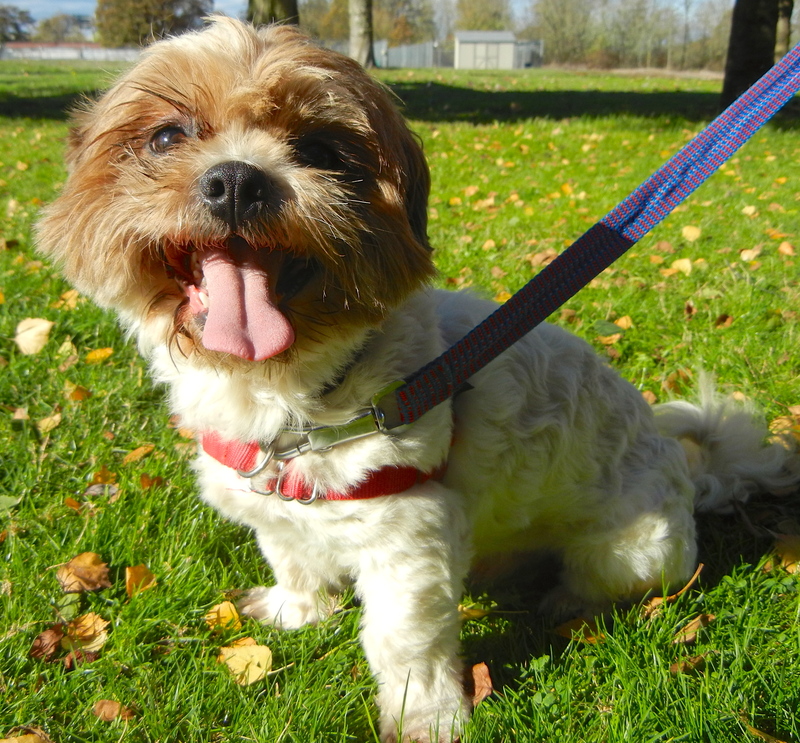 If you’re in the market for a small dog, Jay might be a perfect fit. 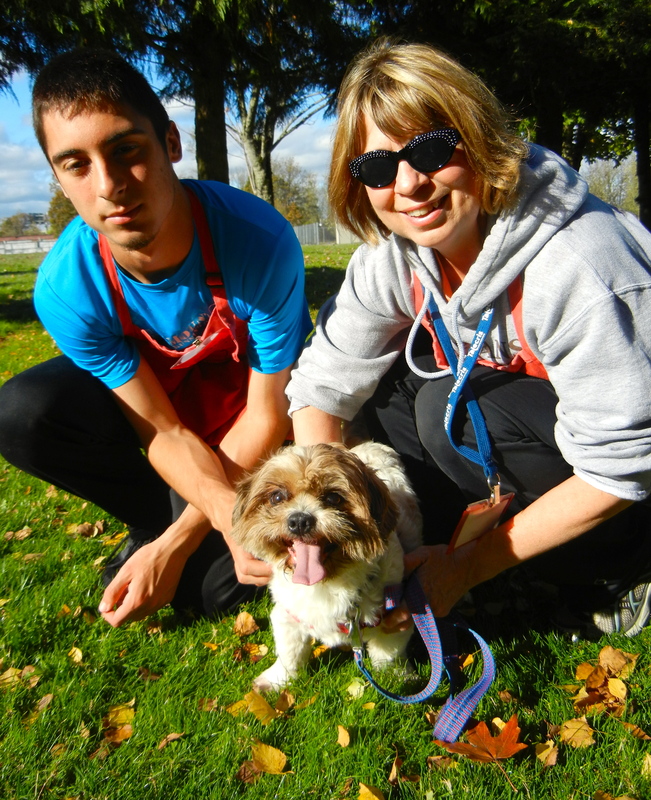 He is a Shih Tzu mix and is one year old. 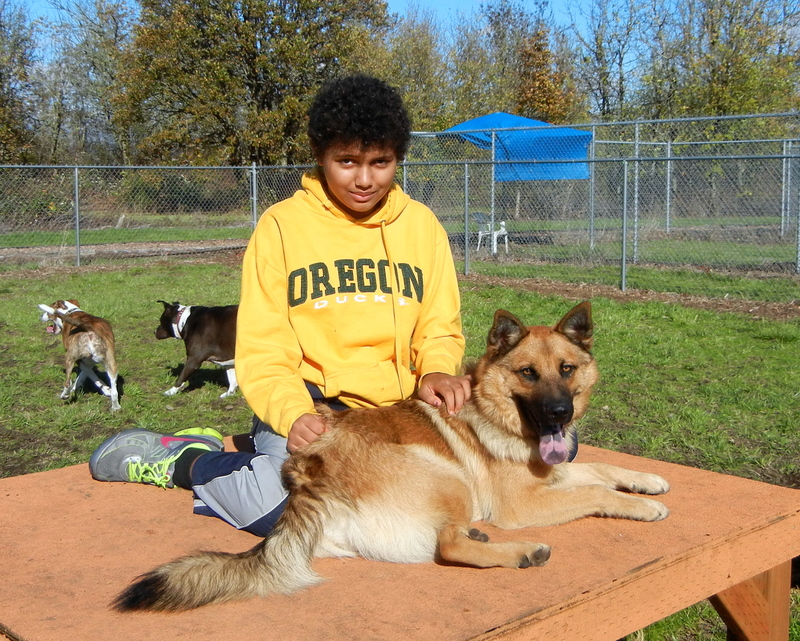 He loves kids, other dogs, adults, rides in the car, you name it, Jay will try it! I have a feeling he’ll be in a new home very soon! As I said, Jay likes other dogs. I started to laugh when Andrew was taking Jay back inside and Jay wanted to stop to say hi to Tucker who was in a yard. Yep…still here. Maybe this week? Of course, I couldn’t leave without spending some serious ball time with Tido. He continues to patiently wait for his forever family to come. We had a great game. Here are some shots. 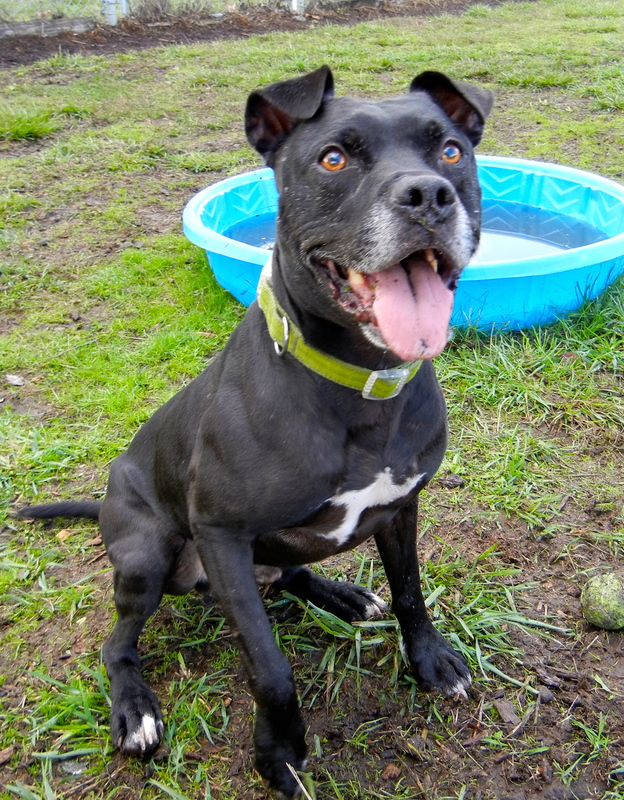 Tido is a seven-year-old Pit Bull Terrier mix with a ton of energy and love. This one is from Sunday’s game. And here are some shots from today’s game. That’s it for this week. I’m hoping for lots of adoptions in the next few days. 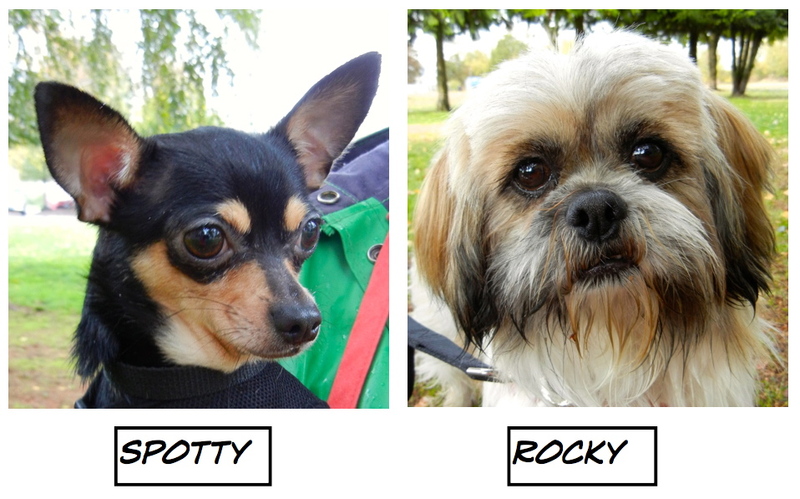 A group of new START dogs arrived today, so I’ll be introducing some new faces to you next week! Another great blog, That cocker spaniel is so adorable, especially the close up face shot.